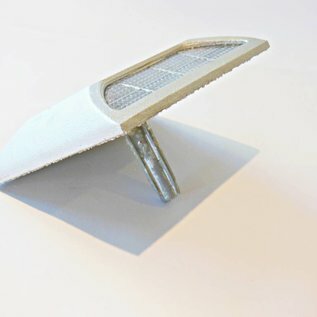 Reflective roadstud in an epoxy filled aluminium casing. Available in various colours and mix of colours. Equipped with anchorpin. 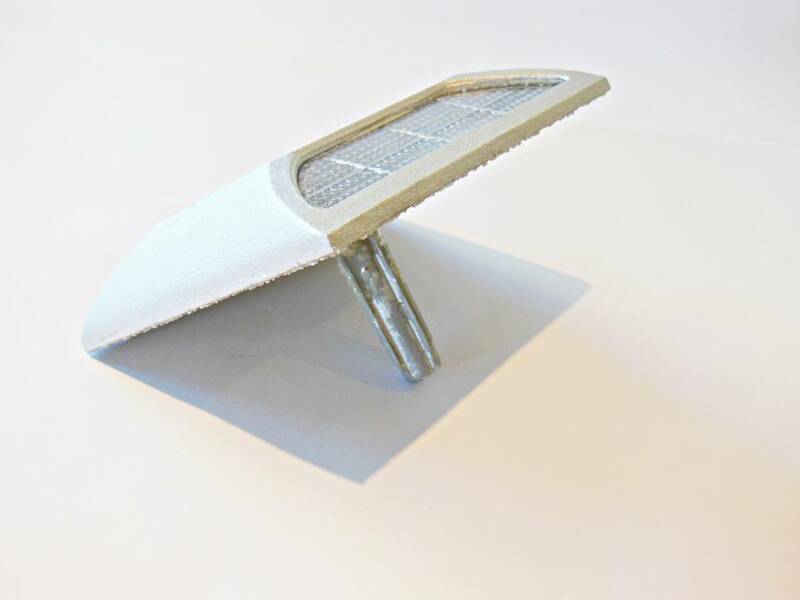 Reflective roadstuds provide a simple and cost effective contribution to road safety. 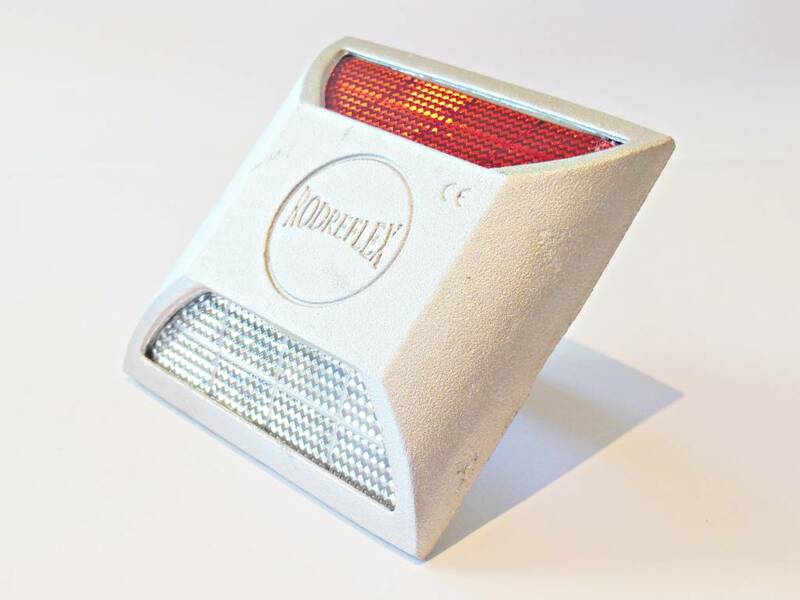 Our doublesided reflective roadstuds come with an integrated groundpin that is 45 mm long. 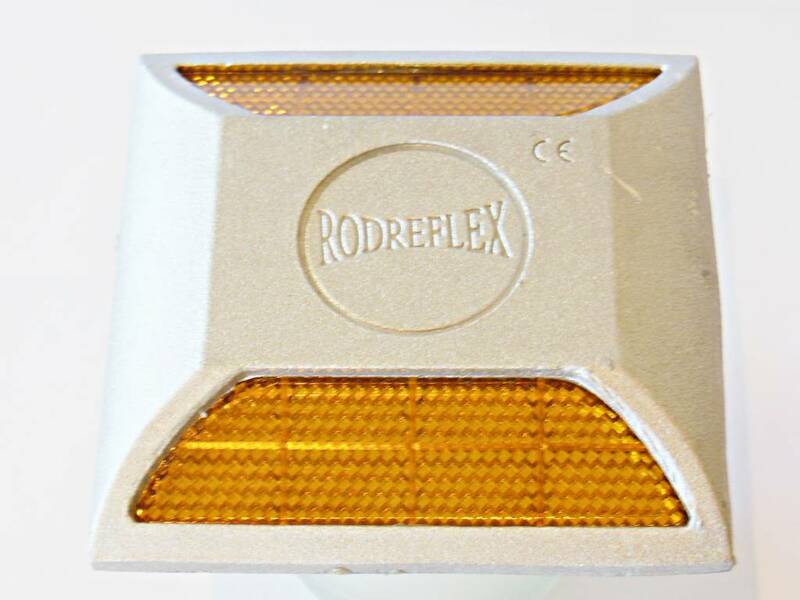 They are installed directly into the roadservice and secured using a chemical mortar or a weatherresistant glue. Withstands axleweights up to 15 tonnes. 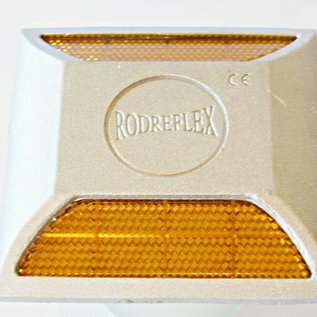 The typical installation layout for reflective roadstuds is white/white or yellow/yellow studs along the central lane division and red/red studs along the left and right roadsides.